On Nov. 27, 1881, in Vienna, the capital of the Austro-Hungarian Empire, one of the world’s greatest writers was born as a gift to humanity. His name was Stefan Zweig. He was a world-renowned celebrity, earning the distinction of being one of the most translated authors of the first half of the 20th century. Even in the 21st Century, his works continue to resonate and inspire a new generation. The 2014 film Grand Budapest Hotel, written and directed by Wes Anderson, brought Zweig’s stories to the screen, drawing from novellas such as Twenty-Four Hours in the Life of a Woman, The Post Office Girl, and Beware of Pity. Much of Zweig’s experiences from his autobiography The World of Yesterday weaved together a narrative of Europe’s golden days before war and disunity, inspiring countless other writers since, including the founding of Devolution Review. The themes of Zweig’s stories always yield hope. Universalism was key, personal liberty a calling, and culture was the grand unifier. Authority was seen be absurd and zealous. Cosmopolitanism was both an achievable and desirable goal. He crisscrossed the European continent meeting fellow artists, philosophers, and thinkers who would come to shape western civilization for decades to come. It was in the cafes, theatres, and streetcars of major cities that he fell in love with the dream of Europe, a majestic collection of cultures and peoples wed together by history but bonded by a yearning for freedom. 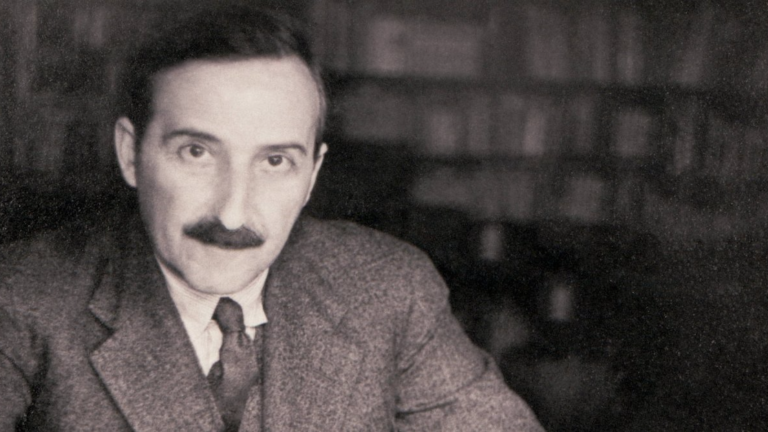 Reflecting on his words two-thirds of a century after his death, it is incumbent upon us to examine how Zweig’s dream of Europe has fared in the decades since. Unimaginable in Zweig’s time, today’s Europe is exemplified by the European Union, a political and economic union that has, by all intents and purposes, offered an answer to his calls of unity and universalism. An entire generation of young Europeans has been afforded the opportunity to study and travel in neighboring countries via programs such as Erasmus, offering equal credits for studies taken up abroad. Through technological marvel and easing of visa restrictions, as well as the abolition of internal borders via the Schengen agreement, more people than ever before are able to explore and discover cultures and nations that were once the most bitter of enemies during their grandparents’ time. What’s more, a lingua franca has emerged to bind all European nations together in common interactions and commerce, mostly English (whatever Brexit negotiators may say). That it isn’t German wouldn’t have bothered Zweig in the slightest. He was a universalist for humanity’s sake, not for a single culture or language. Beyond that, countless civil society movements have sprung up across the continent, allowing individuals with common goals and worldviews to voluntarily collaborate in hopes of achieving their particular brand of freedom. Whether for art, peace, philosophy, or ideas, never before have we seen so much cross-border collaboration. For Zweig, it was not Empire and the State that motivated individuals to better themselves, but a recognition of our shared experience. This was his version of cosmopolitanism, what I’ve dubbed modern cosmopolitanism, humanity no longer divided by lines or frontiers. Culture is our language and our currency. Freedom is our common goal, and that alone makes us brothers. But just because today’s Europe is one united by a political and economic union does not mean it is a cultural one as he envisioned. As he wrote in The Moral Disintoxication of Europe (1932), his most fervent defense of a common European existence, his view was to bring the peoples of Europe together by culture first, rather than by a political or economic union. He wrote this as a virulent wave of fascism began its infection across western Europe. But he remained hopeful that culture could overcome its evils. He believed that a union predicated on political unity alone would not be sufficient to curb the darkest desires of humankind, as it relied more on power and less on individual will. “It behooves us to initiate the cultural union of Europe before its political, military, or financial union. Otherwise, we will spark the very tendencies of humanity we reject the most,” wrote Zweig. In principle, there is no doubt that Zweig would be an admirer of the aims of the European Union. But its construction and anti-democratic spirit would be expeditious in quelling his romantic notions. My friend and fellow writer Bill Wirtz’s analyses on the sinister dealings of the institutions of the EU are correct in this regard. The usurpation of liberty in places such as Greece, Italy, and Spain for the sake of financial order further deflate our universalist hopes, as does the ascension of certain political elites who offer a cynical vision of what it means to be European, usually at a significant cost to individual liberty. Though culture has risen up on its own to unify the peoples of Europe, it seems centralized institutions are doing their part to stifle it. Zweig was both a victim and a harbinger of the worst of his age. He witnessed the destruction of Europe in the First World War, and as a Jew, was forced to flee to the United Kingdom, the United States, and later Brazil when the Second World War was at its zenith. The Nazi regime singled out his works to be burned, and his own optimism for humanity could no longer sustain his passion. As he describes in his autobiography The World of Yesterday, decamping his native continent filled him with the most despair. The destruction of culture and peace twice in his lifetime was enough to drive him far from Europe’s shores. “The people of all nations feel only that an alien shadow, broad and heavy, looms over their lives. But we who knew the world of individual liberties in our time can bear witness that a carefree Europe once rejoiced in a kaleidoscopic play of variegated colors. We tremble to see how clouded, darkened, enslaved and imprisoned the world has now become in its suicidal rage,” he wrote. It would not be until Europe would be able to “disintoxciate” and purge these fears that it could once more be united. Unfortunately, for Zweig, who took his own life in the jungles of Brazil in the early months of 1942, he felt that mission was too far gone. “So I think it better to conclude in good time and in erect bearing a life in which intellectual labor meant the purest joy and personal freedom the highest good on earth,” he pens in his suicide note. No longer could he take comfort in the past he once celebrated, a past that promised ever more freedom and creativity for individuals. It was truly a golden age, one that many of us vivaciously celebrate and ruminate over today. “We could devote ourselves undisturbed to our artistic and intellectual inclinations; we could pursue our private lives in a more individual and personal way. We were able to live in a more cosmopolitan manner; the whole world was open to us. We could travel anywhere we liked without passes or permits; no one interrogated us about our beliefs, our origins, our race or religion. We certainly did — I do not deny it— have immeasurably more individual freedom,” he wrote in his autobiography. And though Zweig ultimately could not stand the trials and tribulations that followed the destruction of his culture, the same culture that was ravaging lives across Europe and issuing decrees of death in his native German, one of his last public speeches points to at least some hope that a bright future would follow. Surrounded by other writers of great renown in New York on May 15, 1941, he gave one of his last public speeches. It was undoubtedly a much better soliloquy to remember Zweig by. Perhaps that is the lesson of Zweig’s dream of Europe. Though it has seen the darkest of days, an extinguishing of its bright lights, there is reason to hope for tomorrow. For the worst of what is behind us will be our guide, and the cause of human freedom will inevitably draw us closer together. If not by design, then at least by the attempt to rectify the injustice of our past.